From her comments, I had a profound realization that ethics will be extremely important for AI and other emerging technologies as society progresses towards integrating these technologies into our daily lives. Note that this integration is starting to be, or is already, in our homes and workplaces. “Alexa” might already be part of your family. This development is growing in an exponential rate, and there’s no slowing it down. In fact, Waymo (the self-driving subsidiary of Google parent Alphabet) is launching the first ever commercial driverless car service next month. 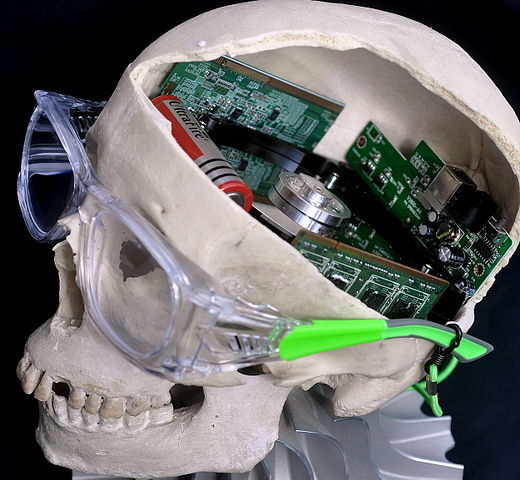 Yet, have we stopped to consider if an ethical “backbone” to all of this progress should be put in place as a guide for AI and all emerging technologies? By: Lisa A. MazziePosted on July 19, 2016 July 20, 2016 Categories Higher Education, Legal Education, Legal Ethics, Legal Research, Legal Writing, Marquette Law School, Political Processes & Rhetoric, Public1 Comment on When is it Plagiarism? Last night’s Republican National Convention has thrust “plagiarism” to the forefront of the news. One of last night’s speakers was Melania Trump, the wife of presumptive Republican presidential nominee Donald J. Trump. 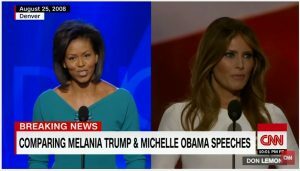 Trump’s speech sounded to many strikingly similar to one given eight years earlier—by First Lady Michelle Obama at the Democratic National Convention in 2008. Incredibly so. Not just identical words, but nearly identical context and sentence structure. At one point, Trump says, “Because we want our children in this nation to know that the only limit to your achievements is the strength of your dreams and your willingness to work for them” (emphasis added). Eight years earlier, Obama had said, “Because we want our children — and all children in this nation — to know that the only limit to the height of your achievements is the reach of your dreams and your willingness to work for them” (emphasis added). As the winter break winds down, it’s definitely worth your time to start binge-watching Making a Murderer, a recent Netflix documentary on a real-life criminal case. A very close-to-home criminal case, at that. The documentary, filmed over 10 years, follows Steven Avery, who was convicted in 1985 of sexual assault. He maintained his innocence and, indeed, 18 years later DNA evidence exonerated him. After he was released, he sued Manitowoc County for his wrongful conviction. It looks as though that lawsuit starts digging up some very unsavory conduct among officials in Manitowoc County. 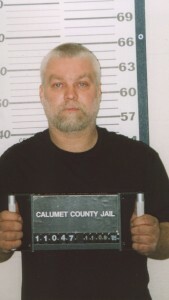 But then—Avery is arrested for the murder of photographer Teresa Halbach. Several months later, his nephew Brendan Dassey is also arrested. I’ll stop there with plot. If you’ve been around Wisconsin, you’ve probably heard of the case. If you’ve been on the Internet in the last couple of weeks, you’ve almost surely heard of it. But you must watch it. 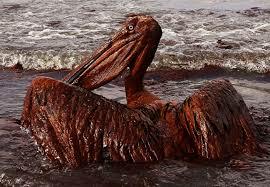 In a new twist on the BP litigation, BP filed a brief in a Louisiana federal court that seemed to comply with the already-enlarged 35-page limit. But the judge in the case, the Hon. Carl Barbier, uncovered BP counsel’s tactic of reducing the line spacing to cram more material into the brief than the page limit would have allowed. In this way, BP was able to fit in an extra 6 pages worth of material. The Court should not have to waste its time policing such simple rules—particularly in a case as massive and complex as this. Counsel are expected to follow the Court’s orders both in letter and in spirit. The Court should not have to resort to imposing character limits, etc., to ensure compliance. Counsel’s tactic would not be appropriate for a college term paper. It certainly is not appropriate here. It’s certainly true that law school will teach students a particular way of thinking critically that will infuse all of their thinking from here forward. It’s also true that lawyers ought to be thinking critically. (So should everyone, in my view.) But law school should do more than teach students how to “think like a lawyer.” It should teach students how to “be” lawyers. [I]f, God forbid, I someday find myself being wheeled into an emergency room, I hope the person preparing to operate on me doesn’t just think like a doctor. I want him or her to be a doctor. In 1980, I had the opportunity to interview Louis Auchincloss. Known for his novels about New York’s traditional elite, Auchincloss also maintained a successful and sophisticated trusts and estates practice. In fact, I interviewed him in his corner office on Wall Street. His thoughtfulness, dignified manners, Brooks Brothers clothing, and elegant office stuck in my mind over the years as an illustration of top-drawer T & E.
It came as a surprise to me over thirty years further down the road to learn that the white-shoe Manhattan firm of Debevoise & Plimpton was eliminating its T & E practice. It turns out that Debevoise & Plimpton is only the latest big firm to take this step. Weil, Gotshal & Manges and also Gibson, Dunn & Crutcher, among other big firms, have also in recent years done the same. Why are the big firms ending their involvement with T & E? According to the analysts, T & E is an uncomfortable fit in the emerging big-firm business model. Genteel and personalized, the T & E practice of somebody like Louis Auchincloss cannot assign large numbers of junior associates and run up the tab in the process. Drafting wills and trusts generates fewer billable hours and profit than big-time litigation, corporate bankruptcies, and mergers and acquisitions. The contemporary legal profession has its share of problems, but the elimination of big-firm T & E practice underscores the problem that is perhaps the most troubling. Namely, the market economy is swallowing up the legal profession. Every day, we see the practice of law becoming just a business. If legal educators share my perception and are troubled by it, we might reduce skills training and hold off teaching law students “to hit the ground running,” that is, graduate ready to make a buck. Legal educators might instead redouble efforts to teach ethics, honor professional norms, and endorse genuine humanistic values. These are the features of professionalism that distinguish it from unbridled profit-seeking. Counselor at Risk: Does Specialization Threaten the Attorney’s Function as Counselor? By: Danielle BergnerPosted on November 9, 2012 Categories Legal Education, Legal Ethics, Legal Practice, PublicLeave a comment» on Counselor at Risk: Does Specialization Threaten the Attorney’s Function as Counselor? Many law firm shingles still read “Attorneys and Counselors at Law.” Each term carries with it a distinct meaning and independent importance in the legal profession. Do we risk marginalizing the counselor role as we strive to achieve efficiencies in the delivery of legal services through specialization? And if so, why does it matter? 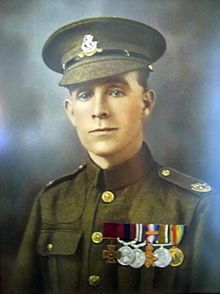 On September 28, 1918, outside of the French village of Marcoing, British Private Henry Tandley of the 5th Duke of Wellington Regiment came across an escaping wounded German soldier. The encounter took place near the end of the British capture of the village, and thus the military situation, though winding down, was still very much rife with hostilities. The soldier was presumably armed and posed a potential threat to Private Tandley and his fellow infantrymen. Private Tandley was presented at that moment with a serious ethical question: shoot preemptively in self-defense, not knowing the capability of the German soldier or the extent to which other German soldiers were present, or spare the soldier’s life and let him return to his unit, either to survive or to die in the arms of his own comrades. Private Tandley did not then know that an armistice with Germany would come within a matter of weeks, nor did he know whether the soldier had a wife and children to whom he might return after the war. He knew nothing of this German soldier other than that he was another human being who was injured. Private Tandley decided to spare the soldier’s life, and the soldier continued on his way, apparently nodding to Tandley in appreciation. Years ago, I attended a seminar where the late Attorney Harry M. Philo was one of the speakers. I don’t remember where the seminar was or who the other speakers were, but I will never forget one thing that this very prominent lawyer said, “The primary social responsibility of personal injury lawyers is to prevent accidents and reduce the number of injuries. It is only when we fail in this responsibility that we move to our secondary responsibility of obtaining compensation for our clients.” This message was one of social responsibility and giving back to the community, two things we should take seriously throughout our careers. When there is a culture of secrecy within a closed group, information generated in and by those individuals can be kept within the confines of the group. This behavior may lead to public harm if a closed group keeps secret information that negatively affects other individuals who are not group members. When a public harm is a possibility, the group must install transparency so as to prevent that harm. While complete transparency might be extremely difficult, there does need to be some concession to candor and accountability. Lawyers, like many other professional groups, are commonly thought of as a closed group. We, like those in other groups, must be vigilant to maintain some transparency. In doing so, we protect and uphold the integrity of our profession while preventing harm to our clients and other citizens. This need for transparency is best illustrated through examples. While writing my Honors Scholar Thesis my senior year at DePauw University, Justice Holmes’ words became the perfect frame for my interdisciplinary study of legal ethics. This quote was taken from an address from an 1897 Harvard Law Review, The Path of the Law, 10 Harv. L. Rev. 457, (1897), in which Holmes offers a piece of pragmatic wisdom to the practicing lawyer. In essence, the lawyer should assume the role of “the bad man” who is not concerned with principles of ethics, axioms and systematic reasoning. Instead, the lawyer should be concerned with self-interest, preservation, and the immediate consequences influencing one’s actions. From this perspective, the lawyer better positions himself to protect those interests that “the bad man” might have in predicting how the court will respond, given the facts and circumstances that surround a particular case. As a somewhat critical undergraduate student, I noted that this perspective makes broad, “questionable” assumptions about the client while offering a somewhat cynical philosophy for the role that the lawyer must play for a successful study and practice of law. The emphasis on practice and prediction is a hallmark of Holmes’ pragmatic view of the law with experience at the foundation. “[A] lawyer should further the public’s understanding of and confidence in the rule of law and the justice system because legal institutions in a constitutional democracy depend on popular participation and support to maintain their authority.” Taken from paragraph six of the Preamble to the Model Rules of Professional Conduct, this quote sets out our duty to educate the public. In April 2009, then Wisconsin State Bar President Diane Diel discussed this very quote in a short article published in Wisconsin Lawyer magazine. The article focused on the negative effect judicial elections have on the public’s confidence in the judicial system — discussing current Justice Michael Gableman’s allegedly unethical ad that aired during his campaign against Justice Louis Butler and his subsequent disciplinary hearing — and the ever-controversial topic of judicial recusals, focusing on whether judges should be required to recuse themselves from deciding cases in which they received campaign contributions from an interested party.